Now here is a service that May Hardware has done since the "old days" and is rare in this era of "prepackaged" goods. 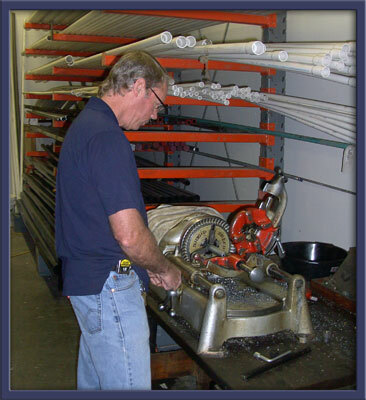 For those custom plumbing or piping projects that require exact pipe lengths, our plumbing department will cut and thread galvanized or black pipe up to 2". So don't let that plumbing project scare you. Our highly trained staff can help you overcome those household plumbing blues.